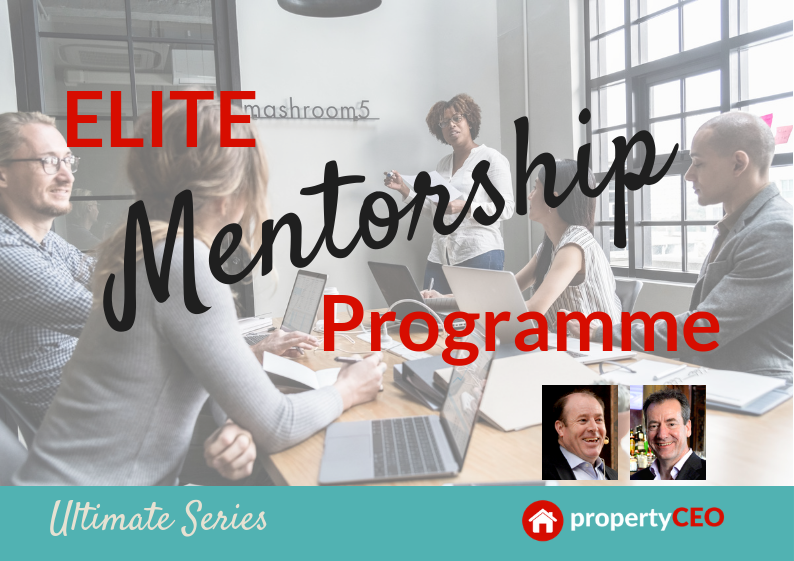 The Elite Mentorship Programme achieves that sweet spot in mentoring, combining enough one-on-one focus and attention to make sure YOU make progress, with the ability to work within a tightly-knit group of between 5-10 people to unleash the unstoppable power of the TEAM. We’ve also included a vast array of other elements including numerous digital training courses, on-demand support for your projects from your mentors, personal and business coaching and the ability to promote and associate your brand with propertyCEO. Our Foundation Course, 4-day Property Development Masterclass and Live Deal Workshops are also included in the programme. In short, it’s got everything – and it’s the quickest route we know to getting your first six-figure profit development deal across the line. The 2019 intake is already full however we are registering expressions of interest for the 2020 programme which starts in March next year. The Elite Mentorship Programme costs £26,964 + VAT. To get more information or to put your name down on our shortlist for 2020, please send an email to the Helpdesk at enquiries@propertyceo.co.uk mentioning the Elite Programme, and we’ll be happy to note your interest and answer any questions you may have.